Through a partnership with Asus, Acer, and HP, NVIDIA will be bringing their Big Format Gaming Displays (BFGD) to the masses…well, those in the masses who can afford them! These large displays are to accommodate PC gamers who are tired of gaming on “small” gaming monitors, but don’t want to pick up a big 4K TV to game on because they feel like it will be a downgrade in features. 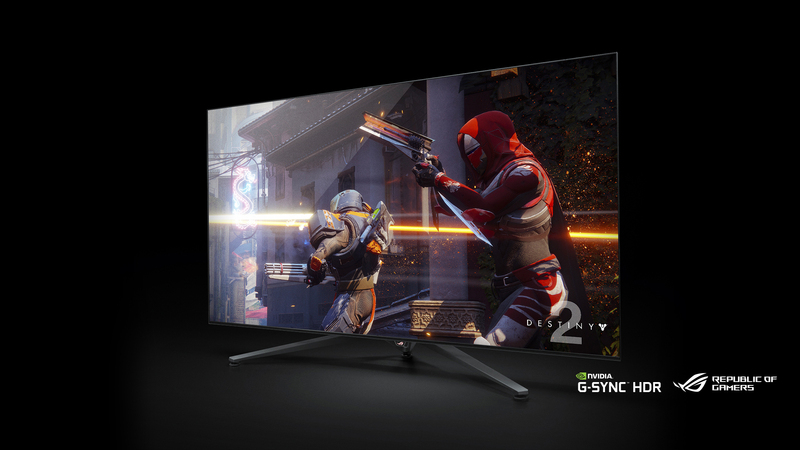 The BFGDs are meant to meet them in the middle, offering high-end monitor features mixed with the benefit of a massive display size seen in larger consumer TVs. There’s no official word on what the price of these screens will be, but don’t count on them being very affordable. Meanwhile, if you’re seeking a large-format PC display but don’t want to splurge on something like this, it looks like TCL may have some viable alternatives (featuring full Dolby Vision support and low input lag) to consider in their upcoming 6 and 5 Series 4K TVs.